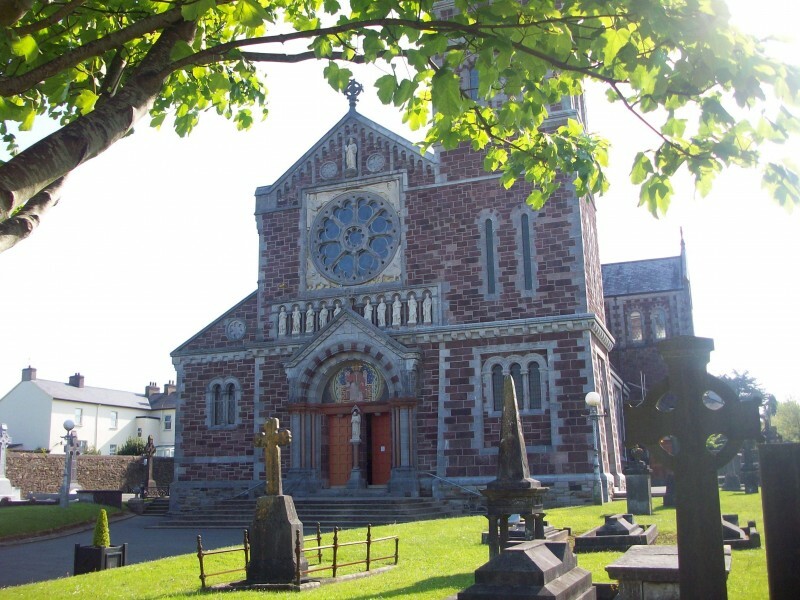 St Carthage’s Parish Church was officially opened in 1884. 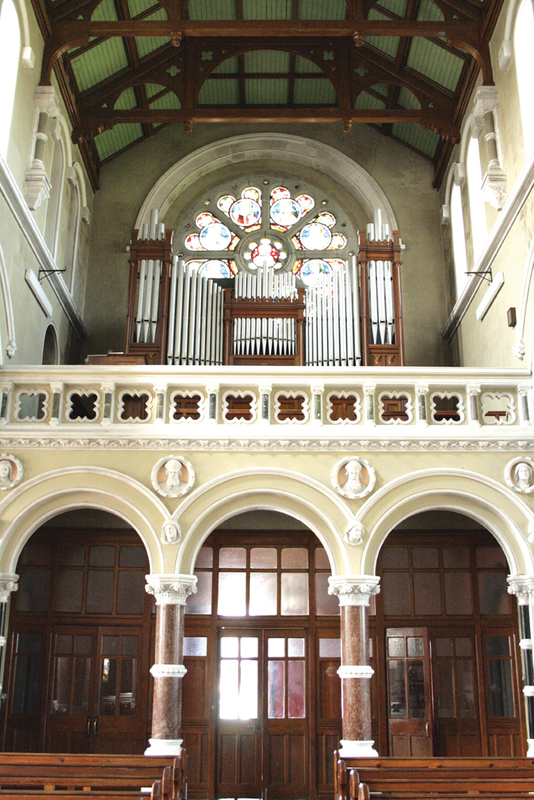 Designed by W. G. Doolin, it is seen as one of the finest examples of Lombardo-Romanesque churches in Ireland. 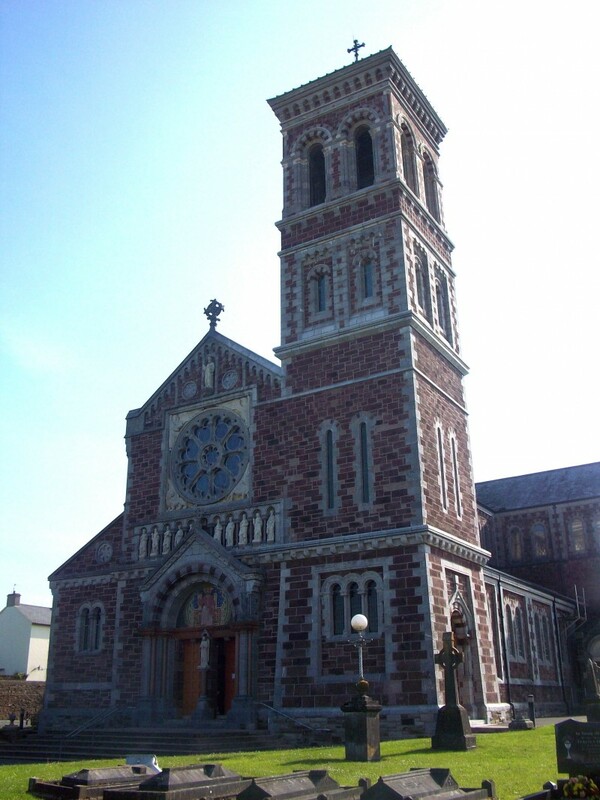 Old red sandstone and white limestone quarried locally, were used in the church’s construction and its bell tower rises to a height of 120ft. above the richly detailed facade. 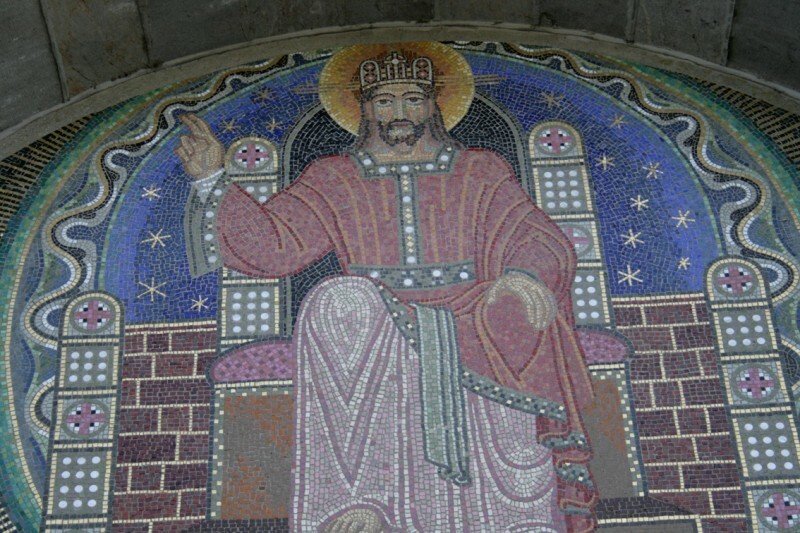 Above the doorway there is a mosaic of Christ the King, with the first and last letters of the Greek alphabet at either end of the arch over the mosaic. 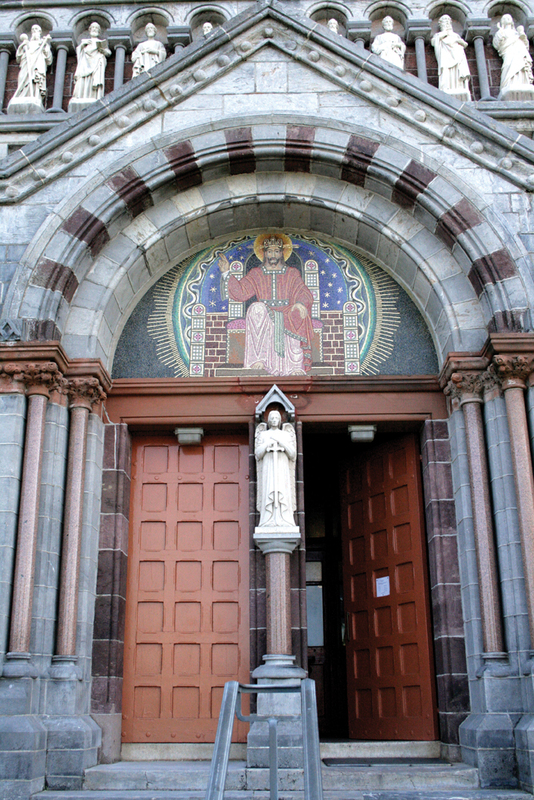 An arcade with statues of saints crowns the doorway, with a statue of St. Michael the Archangel standing between the main doors on a pedestal. A rose window framed by the symbols of the apostles may be noted above the mosaic where a statue of St. Cartage stands in the alcove above the window.